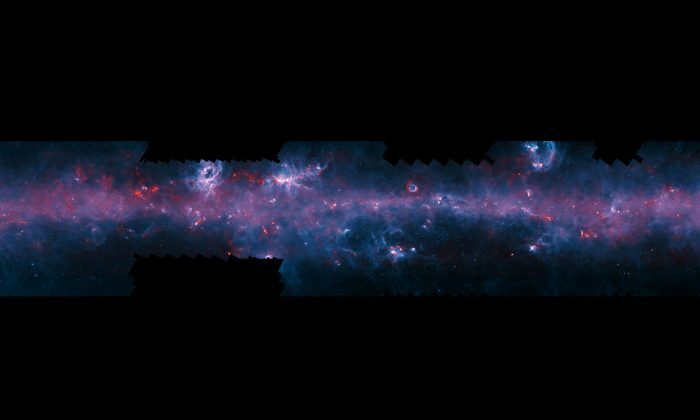 The image above is a small piece of a much larger, wider picture taken of the Milky Way from the southern hemisphere. It was released to celebrate the completion of the APEX telescope’s recent Large Area Survey of the galaxy. The map made from the recent survey is suppose to be the sharpest image of the galactic plane made thus far. The APEX telescope is located on a plateau in northwestern Chile, which offers an elevation of nearly 17,000 feet above sea level, and a desert surrounding it, minimizing interference of man-made lights; ideal geography for astronomy. The APEX telescope was able to capture radiation at sub-millimetre wavelengths, and is sensitive enough to detect cold dark dust bands, as well as cold clouds where the newer generations of stars are forming. 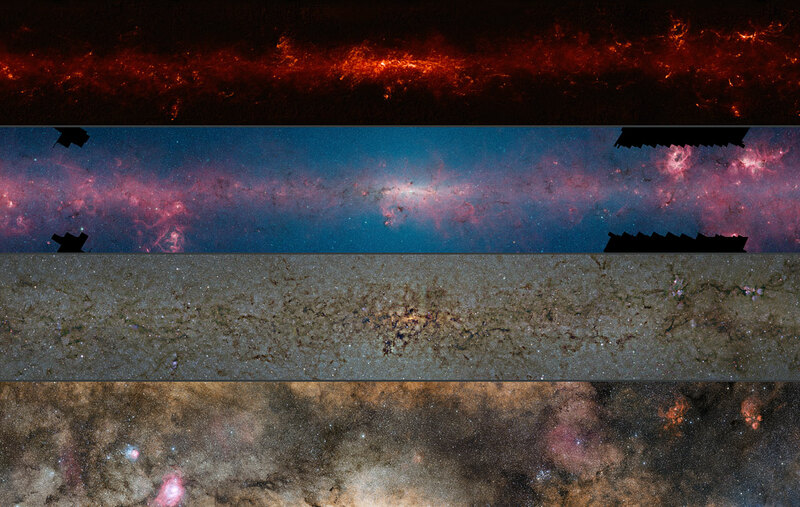 Included in the survey were images of the Milky Way in different wavelengths, which highlighted the disparate elements in the galaxy. “[The Large Area Survey] provides exciting insights into where the next generation of high-mass stars and clusters form. By combining these with observations from Planck, we can now obtain a link to the large-scale structures of giant molecular clouds,” Timea Csengeri, of the Max Planck Institute, said in a statement. The full-sized image of the APEX telescope’s capture of the Milky Way can be downloaded here (file size 276 MB). You can watch a horizontal scroll-by in the video below or, below the video, we present the whole image for you to scroll through vertically.